When Jeff and I planned our trip to Vancouver, BC Canada a few years ago, we scheduled it for July -- the month with the lowest probability of rain. We were assured of beautiful weather -- I didn't even pack an umbrella (not that I had one to pack). When we landed in Vancouver, it was raining. It continued to rain for three days straight. So we skipped a few attractions like Butchart Gardens and spent our time in beautiful museums, quaint book stores, and charming cafes instead. One drizzly afternoon we enjoyed a memorably good fresh blackberry and oatmeal cake with a couple of cafe lattes. There is something about a cake with fresh berries, a hot latte, and a light rain that makes for a perfect lazy afternoon. Vancouver, like Oregon and Washington State, boasts some of the continent's best berries. We savored fresh tart loganberries, a succulent boysenberry tart, and even gooseberry ice cream. So when Jennifer of the Domestic Goddess (the founder of Sugar High Friday) announced that this month's SHF theme was Mmm ... Canada, I knew I had to make a blackberry-oatmeal cake. Since I didn't have time to fly to Vancouver for blackberries, I settled on these plump locally grown ones from the farmers' market. I wasn't disappointed. Each bite is a sensory pleasure: the crunchy oatmeal-cashew topping gives way to a soft, moist cake punctuated with bursts of warm, juicy sweet-tart blackberries. As soon as I tasted it, I felt magically transported to Vancouver. The only thing missing was the rain. I lowered the fat and cholesterol in this cake by using less canola oil than usual, low-fat buttermilk, and egg whites only. Of course, full-fat versions work as well. In a medium bowl, sift the flours. Add baking powder, baking soda, salt, cinnamon, and nutmeg. In a separate large bowl, beat the sugars and egg whites at medium speed until light. Beat in the vanilla, buttermilk, and oil. Reduce speed to low and add dry ingredients, including the oats. Beat until just incorporated and the flour is dissolved. Using a rubber spatula, fold in the blackberries and cashews until well blended. Pour the batter into the pan and gently shake it to even it out. 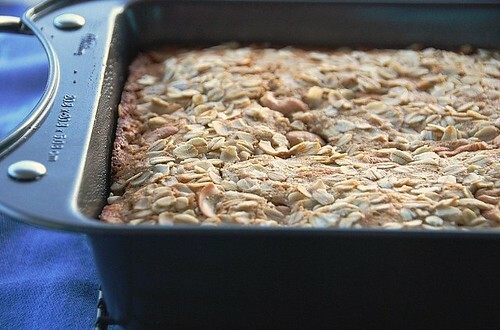 Sprinkle the chopped cashews and oats evenly over the top of the cake and lightly coat with cooking spray. Bake for 45 - 55 minutes, or until the cake is golden brown and a cake tester inserted deep into the center comes out clean. Transfer the cake to a rack and cool for 10 minutes before unmolding onto the rack to cool at room temperature. This cake looks wonderful, in fact I'm printing the recipe! We lived in Oregon for 2 yrs. years ago, but I still remember all the berries there. Blackberries grew wild all over the place. We use to pick them and make cobblers all the time. Another popular berry there was, Marionberries, have you ever had a chance to try those? Great dish. Healthy and love the use of Blackberries.I can totally see having a nice slice with some hot tea in Vnacouver. I've never been to Canada, but even with the rain, your description of Vancouver is really quite romantic :) I love berries, and that love triples in cake! Your low-fat version looks just as good as any full-fat cake I've seen. The kind of cake I like... Relly beautiful, attractive and delicious! I particularly love blackberries! This looks like a fantastic recipe and I can not wait to try it. 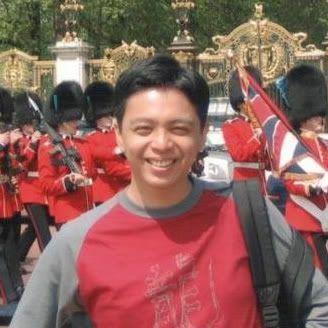 PS - I have tagged you in my blog. Delicious and healthy, a wonderful combination. That cake is tempting, Susan. I'm going to make this, even though I don't get berries here. I'll get around that! Wow, great cake! Yes, the PNW has great berries. If you find yourself in the Victoria area again and it's raining, try the Victoria Butterfly Gardens. It's close to Butchart Gardens. Tropical paradise setting indoors. You make me wish it was raining right now! Can't wait for blackberry picking season now! What a beautiful and healthy-looking cake. Yum. yeah we do get more than our share of rain here in the pacific northwest! but when i moved here and saw all the blackberry bushes (they grow EVERYWHERE...even where you don't want them!) i was very excited. i just love blackberries! saving this recipe for when they get ripe! it looks scrumptious! marie-Oh, yes, I had marionberries in Portland and they were fabulous! I'm so glad you like the recipe. coco-It makes for a great afternoon. jen-I hope you like it. And you'll be able to use actual Canadian berries. dhanggit-And it's easy to make too. aparna-Well you gotta have some cake with your coffee. vb-Oh, I find butterfly gardens to be such magical places. Thanks for the advice! nuria-They're good even when it's sunny. lysy-I know how you feel! omg - that looks amazing. bookmarking this and can't wait for the weekend to make it! :-) thanks! Susan, this cake looks lovely! Berries is my weakness, I just love them:) And blackberries? Yum! In Azerbaijan they only grow organically and people buy them in big buckets, very inexpensive. I am going to send this recipe to my family there too since they have the luxury to enjoy the berries in buckets:) In the meantime, I am printing the recipe for myself too. It is a keeper! Thank you! This looks so good. 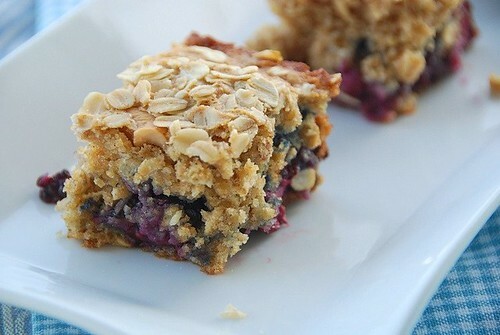 I'm totally into berries and other crumbly-topped goodies right now. And this recipe can be made GF very easily! Yippee! Nice "other fruit-filled baked goodies" to link to as well. Wonderful photos, too! That photo of the berries has my mouth watering - actually, all of them do!! What a wonderful cake to remember your time in Canada by. I feel jealous as I can't get any raspberries or blackberries but your cake is really healthy and looks delicious. Susan, I have an award for you. Looks gorgeous and sounds absolutely delicious! Thank you so much for sharing this recipe and for joining in on Mmm...Canada! About the rain, I think we had so much rain this year it was not even funny. I missed sunny East a lot this year. Now about the cake, Wow, love it. Beautiful! Were did you get this lovely recipe? Susan, this looks so very impressive..I love the way you play around with the ingredients..Berries look very nice and the whole recipe looks so interesting!! Rain or shine, this one is for me!! You've taken the fat out just like I would. It's gorgeous Susan! Totally perfect! Wow. These look absolutely amazing. This is a perfect combination of all things I love. What a lovely recipe. Our blackberries ripen in August and I've saved this to make when they do. Great photos! oooh yum. i love the addition of cashews. 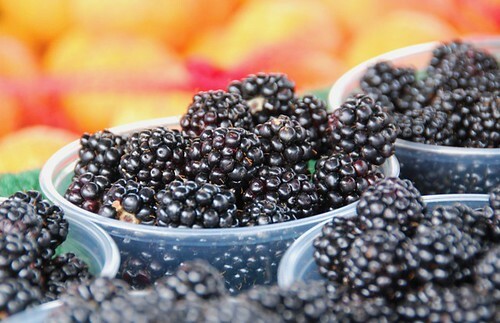 blackberries are totally amazing :) your Vancouver weekend sounds great! 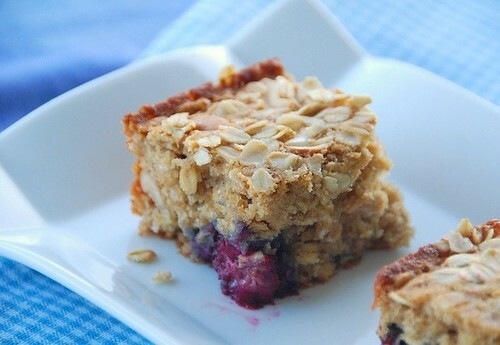 This looks delicious - I like baked goods containing oats, as it gives them a bit of "oomph". Mmmm.... I can taste that from here! Lovely cake. I'd eat it for breakfast-snack-dessert till the dish was clean. Awesome recipe. I'm going to try it this weekend. 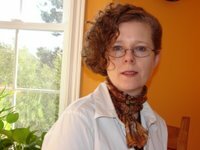 It's fun finding out more about Canadian food! That's it....I'm making this cake. Oh yes this is a grand looking cake. cashews and berries could not resist - not that i am going to try. ok, this one is a serious entry for my healthy cooking event!! and it looks perfect!! cashews and fruits! i bet this tastes like low-fat heaven! Wow Susan, this cake was delicious! I made it with raspberries and blueberries and it turned out great, except for one thing : I could never unmold it, even if it was baked in a anti-adhesive pan liberally coated with butter. Part of the reason why it happened is that the berries sink to the bottom and form a layer were there is less cake mix, thus leading to structural defects that greatly impair the unmoldability of the cake without breaking it. (raspberries are mushier than blackberries when cooked I suppose) So I would suggest your numerous readers to line the bottom of their baking pan with parchment paper to avoid that problem. That being said, everybody loved the cake; it's a great summer dessert! I have a question though... if I want to use a whole egg instead of the eggwhites... how many eggs should I use? one? anonymous-Yes, one egg would work. Your photos make me wish I were in my kitchen right now! I want to make this soon but only have frozen blueberries on hand. I know those are pretty different. Do you think I could substitute with those or do you have any other suggestions if I can't find blackberries? Thanks! xiaolu-You could use frozen berries. Just don't defrost them first as they'll be too watery. Blackberries are definitely more tart than blueberries, but would still be delicious. Raspberries are more tart if you'd like to try those. Thanks for your kind words, and good luck!